Keep your ski boots and winter accessories warm when you're on the go with this heated boot bag from Athalon. The Amped Heated Boot Bag is made from a durable poly/nylon fabric blend and features a wrap-around heating system that operates on a standard electrical outlet or a 12V power socket in your car. Keep your ski boots and winter accessories warm when you&apos;re on the go with this heated boot bag from Athalon . The Amped Heated Boot Bag is made from a durable poly/nylon fabric blend and features a wrap-around heating system that operates on a standard electrical outlet or a 12V power socket in your car. Perfect for the avid skier or winter sports enthusiast, this boot bag features three temperature settings, metal drainage grommets in the bottom to keep your gear dry, and an unheated side accessory pocket to hold personal items and small accessories. 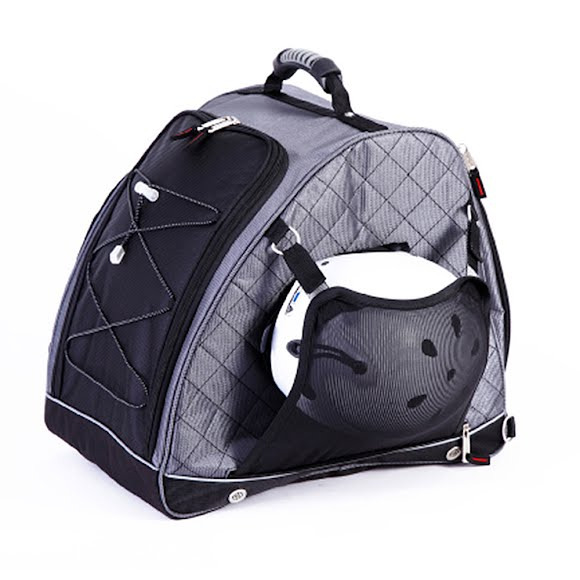 An external front pocket offers added storage for clothing, scarves and gloves, or a helmet. Dimensions 18" x 17" x 11"